5" by 7.5" Single Sheet - Not Folded! Printed on BOTH sides. Please SELECT YOUR OPTIONS Carefully! 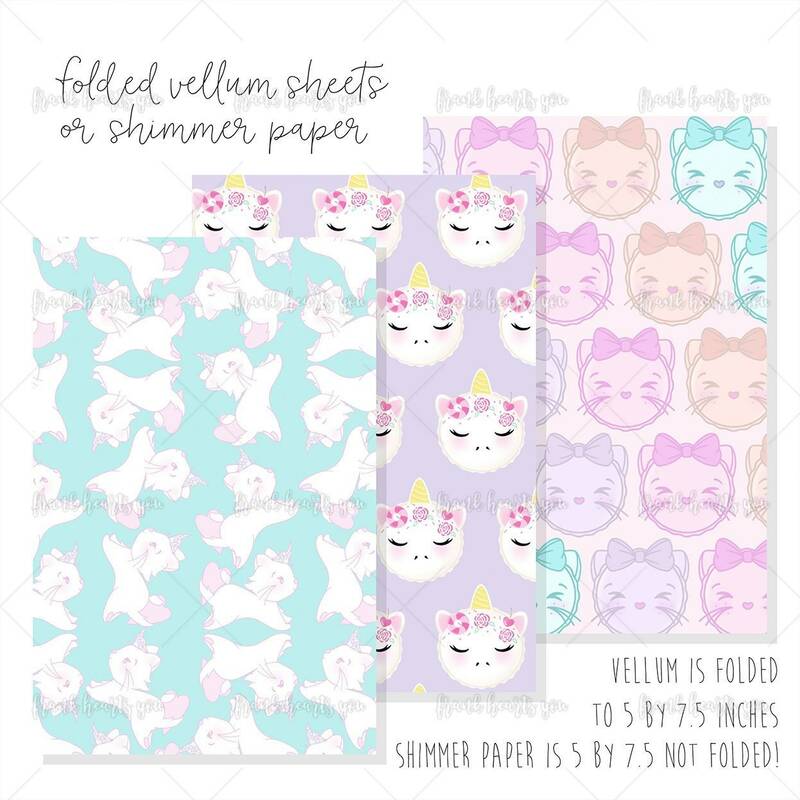 SOLD PER SHEET! I love it all!! Adorable & unique artwork, high quality materials. The shimmer papers are stunning and sturdy. The stickers are so buttery soft and smooth. Gorgeous, bright and crisp detail. The best of Etsy! I love using these planner goodies! Magical color schemes that make mixing and matching easy & fun. The most wonderful & friendly sellers on Etsy! Many thanks! !